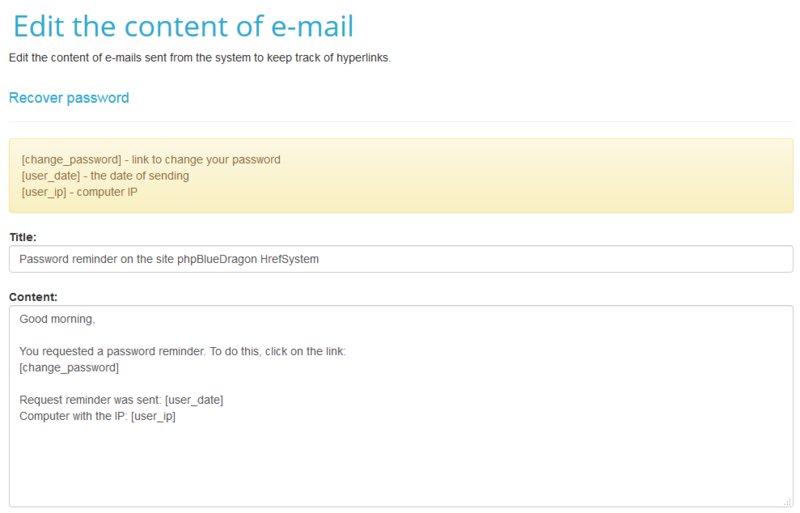 Place designed for the content of messages sent to you in case you forget your password or the generated report. Title field is designed to message topic. Field Content on its content. At the top fields are contained pseudo variables that you can put inside the letter e-mail. It is best not to remove them from the field with the content, because the later use of the system may not be possible. When setup is complete, click on the Update button.